If you’re like most people, you probably don’t think about your engine filter all too often. Rather unremarkable in appearance, engine air filters often resemble a small accordion made from white paper. But engine air filters actually play a vital role in safe, reliable driving. They protect your engine from all types of road debris. In fact, without a properly working engine air filter, your engine could stop running entirely! Even though all air filters look basically the same, they can actually be pretty different from brand to brand. We’ve created a complete guide to help you buy the best filter for your vehicle and driving habits. Plus, we took a look at all of the top-selling engine air filters on the market in order to find the top five. What are Engine Air Filters? Can I Change My Own Engine Filter? How Often Do I Change an Engine Air Filter? 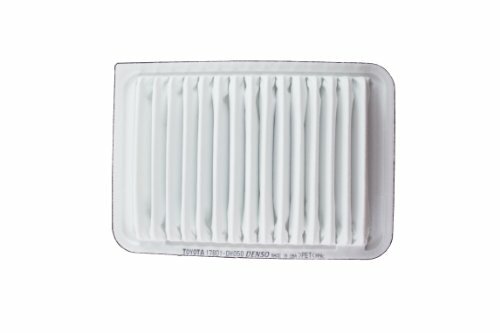 What’s the Best Type of Filter to Buy? Are OEM Parts the Best Choice? How Important are Clean Engine Air Filters? Unique design features allow for maximum surface area and up to twice as much filtering ability compared to the competition. 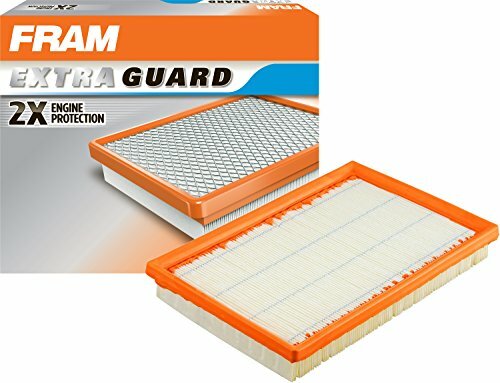 FRAM is a trusted name in air filters and their CA10677 with an Extra Guard Panel offers twice as much engine protection as most filters you’ll find in retail stores – without any increase in price. The filter is a direct fit for over 50 car makes including Toyota, Lexus and more. If you’ve used FRAM filters before, you’re already familiar with the unique orange rubber seal, which is flexible but also provides a secure bond. A bead of glue down the middle of the filter keeps the pleats from bunching up, maximizing the surface area at all times. FRAM recommends replacing these filters every 12,000 miles. ECOGARD has long been an air filter innovator and their Premium Engine Filter offers total engine protection for a variety of vehicles. 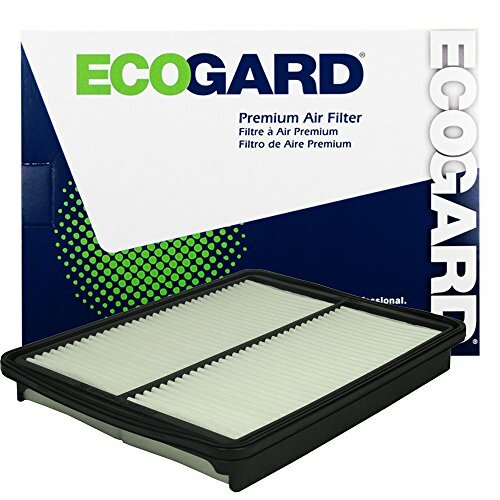 For over 25 years, ECOGARD has been a pioneering presence in developing long-lasting and effective engine air filters. Changing your filter every 12,000 miles as recommended helps improve acceleration and power both today and over the entire life of the car. Specifically engineered and tested for Hyundai and Kia, but also compatible with a variety of other makes and models. This is also one of the few air filters designed for Hyundai Original Equipment. 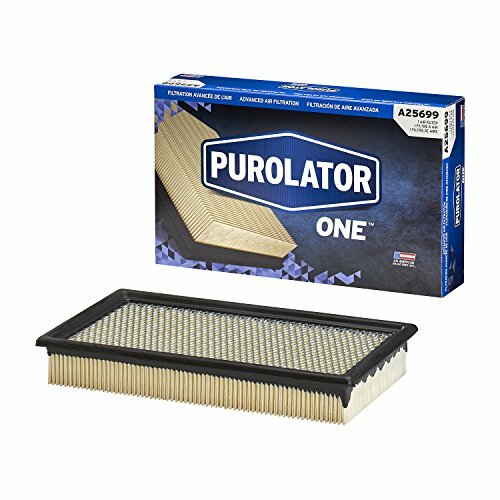 The PurolatorONE Air Filter combines high volume with efficient particle blockage to deliver a consistent rush of air for peak engine performance. Purolator is a lesser-known name in filters, but they’re certainly not lacking in quality. These filters use multi-fiber, high-density paper to trap up to 99% of harmful contaminants before they can reach the engine. A gasket surrounding the filter ensures a tight seal within the intake chamber. Purolator has been designing and manufacturing air filters since 1923. All filters are designed to maximize airflow. 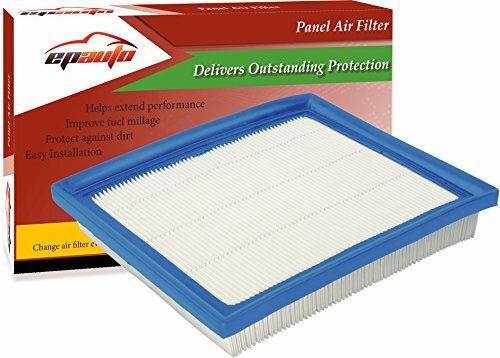 Aside from fitting a wide variety of cars, these filters are also strong enough for trucks and other heavy-duty vehicles. Aside from protecting your engine against dirt and debris, these filters also help improve overall fuel efficiency. Designed for a huge variety of cars including Lexus, Toyota and Prius, these filters help extend the life of your engine. Rigid panels in the pleats are able to withstand high wind speeds while blocking even tiny specks of dirt and debris. Change your filters every 12,000 (or earlier if necessary) for maximum engine performance, which results in improved fuel economy. Filter is durable with a satisfying heaviness which is virtually indistinguishable from Toyota OEM components. Maximum engine performance and protection according to the exact specifications of the vehicle manufacturer. While all of the filters above will work great in a variety of vehicles, many people prefer using Original Equipment Manufacturer parts. These are air filters made by the same people who made the vehicle, in this case Toyota. The main benefit of OEM filters is that you know they’ll fit perfectly. Plus, they’re also available right at the dealership. Take a deep breath. Feel the cold air passing through your nose. The hair in your nostrils acts as a natural filter, trapping dirt and dust before it can enter your lungs. Engine air filters perform a similar function. Cold air enters your car’s engine through ports. The engine filter captures all the dirt and dust from the road. If all of that debris were allowed into the engine, performance would slow and the engine would eventually stop. Absolutely! Changing an engine filter is usually pretty simple even if you’re a car maintenance noobie. The air filter will be contained in a housing, which will be secured by either clips or a few screws. You simply open the housing, pull out the dirty air filter and replace it with a new one. Location of the housing and specifics of the changing procedure will vary based on vehicle make and model, so be sure and consult your owner’s manual for all the details. If your car seems to be slower off the start, the engine might not be getting enough clear air. Sluggish acceleration is often a sign the air filter needs to be changed. Even slight slowdown is worth a quick filter inspection. If you can feel or hear your car revving more aggressively than usual, a dirty air filter is a likely culprit. When airflow is obstructed, each engine revolution produces less power, which means the engine has to work harder than normal. Your tachometer will often reveal the condition of your air filter. Opening the house and checking the air filter only takes a few minutes. If either of the two above conditions occur, go ahead and give your air filter a visual inspection. But know that filters often look fairly dirty, even when brand new. To inspect the filter, hold it up to a bright light such as the sun or a bare bulb. If light shines through the filter, it can continue to be used. If light is partially or completely obscured, the filter should be replaced. Where you live will also influence how often you’ll need to change the filter. Hot, dry and desert climates result in your engine filter being bombarded by grains of sand and other tiny debris, which means your filter will typically wear out quickly. Humid climates are also rough on filters. The damp weather can degrade even the sturdiest fiber filters over time. You’ll need to change your filter frequently if you live in coastal climates. There’s no one best type of air filter. Instead, the best one is the one which matches your vehicle type, driving conditions, price range and other factors. Air filters are not one size fits all. You need to buy the exact filter size recommended in your owner’s manual. If you’re not sure, remove your existing filter and take it into the auto parts store with you. Generally, the more surface area the filter has, the more efficient it will clean the incoming air. In order to increase surface area, filters are designed with pleats. More pleats create a larger surface area, which acts as a more efficient barrier between dirty outside air and the inside of the engine. If you live in an area with consistently high temperatures, you’ll want an air filter designed with high-temperature resistance. While this isn’t incredibly important, a temperature-resistant filter will typically last longer than a standard one in warmer climates. Air filters are usually very affordable. At the highest end, expect to spend no more than $20 to $30. Plus, by replacing your filter yourself, you can avoid any maintenance fees from a mechanic or dealership. OEM stands for Original Equipment Manufacturer. This means the filter is made by the same manufacturer who made the vehicle. Instead of buying a filter from an auto parts brands like FRAM or ECOGUARD, you’re buying them from a car maker like Toyota or Kia. The main benefit of OEM is that you know the filter will match perfectly. However, other brands can also fit just as well. Usually, there’s no particular need for OEM filters unless you happen to have a very rare car design such as a super high-end car or a classic car. A proper fit is far more important whether the filter is OEM or not. Never use a filter which is too small or large for the housing. Doing so will result in poor protection and reduced airflow and could even be a serious safety hazard. If you’re looking for the easiest and most effective way to improve your vehicle’s overall performance, replace the spark plugs and engine air filter. Both are small and relatively inexpensive items. But if either are worn down or dirty, your vehicle’s acceleration, top speed, fuel efficiency and more can all be negatively affected. Changing your air filter helps both short and long-term performance. Always swap in a new filter before selling your car, taking a road trip or undergoing any important type of driving. Plus, keep a clean air filter in your car helps avoid any major engine repairs due to excessive buildup. After all, changing an air filter is much easier and cheaper than deep cleaning a clogged engine. The engine air filter is the unsung hero of your vehicle. Regularly changing it keeps your car performing at the highest, most efficient level. Don’t let small amounts of dirt and grim turn into big problems. Use our guide above to find the best engine air filter for your needs. Watch for any signs that your filter is dirty or clogged, and change it as often as needed. A clean air filter can breathe new life into your car!